Join Denver Anarchist Black Cross for our monthly letter writing night to U.S. held political prisoners and prisoners of (liberatory) war. For August, we will be focusing on Black Liberation prisoners, in honor of Black August. 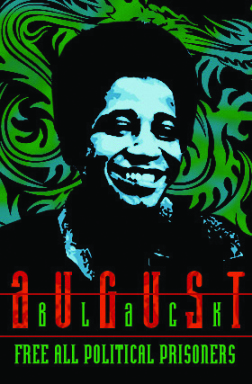 Black August is an annual commemoration and time of fasting, remembrance, reflection, and celebration of black and New Afrikan resistance in North America. As always, Denver ABC will provide everything you need to write our comrades being held in prisons across the U.S. We will provide, pens, paper, envelopes, prisoner addresses, and stamps, as well as an informative powerpoint presentation on the cases of these comrades, as well as DINNER! All we need is you! This is a kid friendly event, so bring out the whole family. 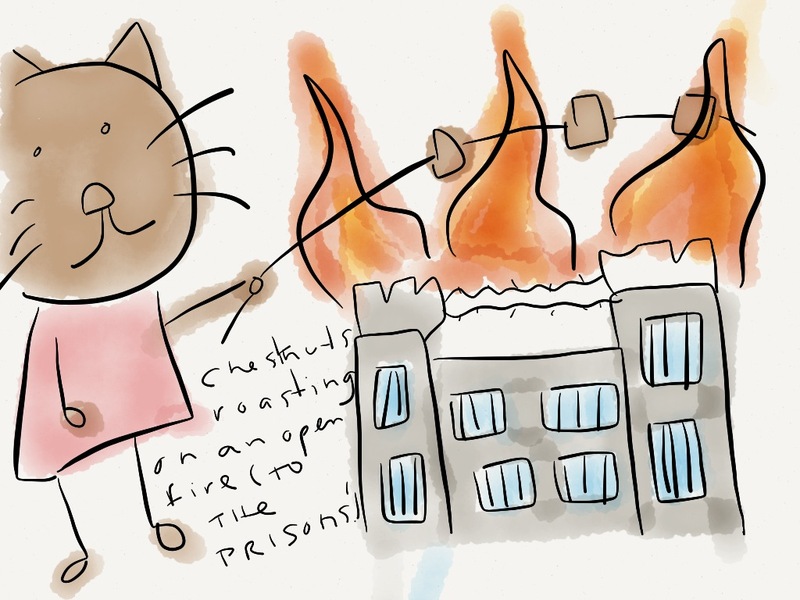 On Wednesday, July 4th, the Denver Anarchist Black Cross will host our monthly letter writing night to political prisoners and prisoners of [liberatory and social] war held captive by the United States. As people across the country celebrate the genocidal, colonial history of the U.S., dozens of freedom fighters continue to languish in cages, held away from their communities, comrades, neighbors, friends, and families. We will spend the night supporting OUR troops, the freedom fighting warriors who have been kidnapped away from us. We will be focusing especially on the cases of three Puerto Rican Independentistas; Avelino Gonzalez Claudio, Oscar Lopez Rivera, and Norberto Gonzalez Claudio currently held captive by the U.S.
Denver, July 4th: Monthly Political Prisoner letter writing night: Support OUR troops! There will be a presentation about the cases of these comrades, as well as a brief presentation with updates on the cases of the Tinley Park 5, NATO 5, and Cleveland 5. As always, everything you need to write letters or cards of support will be provided including pens, envelopes, paper, addresses, stamps, and even DINNER! Come join Denver ABC as we commemorate July 4th in a different way, without the jingoistic, colonialist revelry. Join us for our monthly letter writing night. For March we have a very special addition to the evening.We will be writing letters to environmental prisoners and enjoying tasty vegan lettuce wraps. After letter writing for vegan mini pies (available for a small donation to benefit prisoners) and a screening of the film If a Tree Falls: A story of the Earth Liberation Front. Join DABC on Wednesday, January 4th for a community dinner and forum on the Lucasville Prison Uprising of 1993. The event will include an informative presentation and critical discussion on the uprising and its aftermath. SIDDIQUE ABDULLAH HASAN, A PRISONER FROM THE LUCASVILLE UPRISING, WILL BE GIVING A SPECIAL ADDRESS VIA TELEPHONE. The event is child friendly, free, and open to the public. In April of 1993 hundreds of prisoners at the Southern Ohio Correctional Facility took control of one of the facility’s wings for 11 days before it was forcibly taken back over. 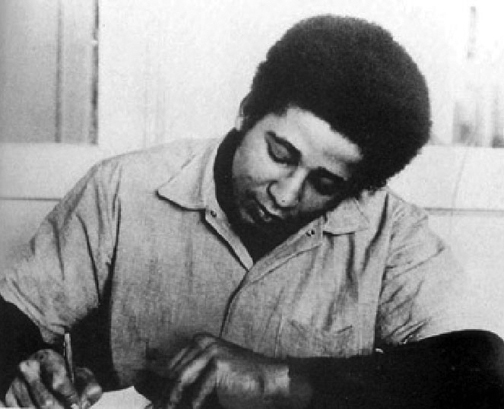 The rebellion was composed of a temporarily united front of prisoners across racial, religious, and gang divisions that produced 21 demands centered around basic human rights. During the uprising several prisoner informants and a guard were killed. In the aftermath, the state aggressively recruited snitches, coerced their testimony, interfered with access to council, hid or destroyed exculpatory evidence, and presented little or no physical evidence in trials and legal proceedings. Five inmates were given the death penalty, while others were given life sentences. Siddique Abdullah Hasan is a prison Imam, a skilled writer, and a compassionate mentor and friend to fellow inmates. He was placed on death-row for his alleged leadership role in the 1993 Lucasville rebellion. The riots occurred shortly before his scheduled release. Hasan maintains his innocence. His case has found widespread popular support, but is nearing the end of appeals. 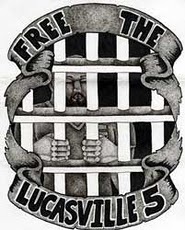 Join DABC on Wednesday, January 4th for dinner and letter writing to the Lucasville Uprising prisoners. The event will also include an informative presentation and critical discussion on the uprising and its aftermath.